Black Bliss goes Back to back!! Sally makes it back to back wins! 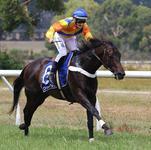 Sally Sells Shells made light work of her two horse field and won effortlessly over the 1000m journey by 6.75lengths. Sally will take great confidence from the win! Southern Silver breaks through for gold! The ever consistent Southern Silver finally broke thru for her maiden win today at Healesville. Coming from the back of the field off a steady tempo Southern Silver made her way to clear running in the home straight and came away for a strong victory. 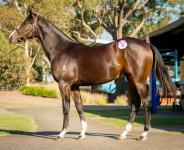 Black Bliss began the year in style breaking her maiden status today at Mornington. She was well ridden by Nikita Beriman and once she entered the home straight and gained clear running she came away for a nice victory. Ten Times continues to race in great form and yesterday he broke his woolamai hodoo with a impressive 3.5 length victory. 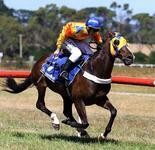 Wanion has continued his good run of form at Balnarring with his second victory this time over 1600m. 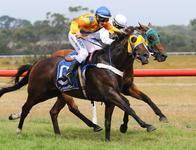 He has now had 4 starts at Balnarring for 2 wins and 2 thirds. 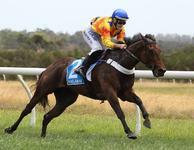 Ten Times was a impressive winner at Healesville yesterday. He was first up and won by 4.5lengths so hopefully he is in for a good season!! Keep Happy keeps everyone happy! What a great way to start 2016! Brooklyn Bridge led throughout to score a impressive victory over 1350m at Burrumbeet. She was aided by a positive ride from the in form Holly Mckecknie. Congratulations to her connections!